This recipe is very close to my heart, since it is my Aachi's recipe. She is not my own grandmother. I brought her from my school when I was in my class 2, since she doesn't have anyone to take care of her. My parents accepted her in my home on my request. From that day she was our cook and was there with me till I complete my graduation. She is a great cook of all vegetarian dishes including traditional desserts. I got this recipe of aachi from my mom after I started cooking. And here we go for the recipe. 1. Dry roast the Moong dhal till it is golden brown and keep it aside. In a pan add little ghee and roast cashews and raisins till it is golden brown. 2. Pressure cook the rice and dhal with 21/2 to 3 cups of water for 4 whistles till it is mushy. Dissolve the powdered Jaggery in warm water. 3. Strain the impurities from the jaggery syrup. In a pan bring the jaggery syrup to boil and add the cooked rice into it. 4. Now add the milk and mix everything together and also add the ghee. Keep stirring till it is well combined. If it is dry can add more ghee. Add the cardamom powder, fried cashews, raisins and give a quick stir. The Pongal becomes thick after cooling down. So switch off the flame accordingly. Garnish with cashews, raisins and serve hot. 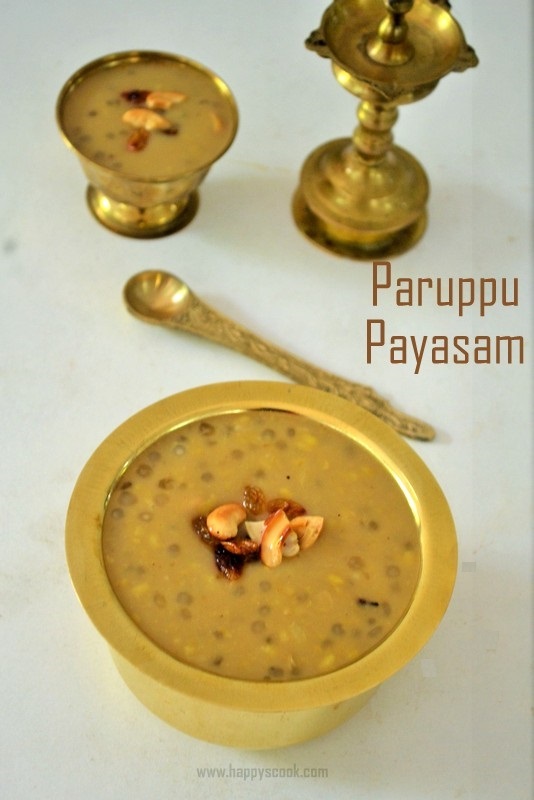 Adding milk is optional, since the traditional way of Pongal doesn't have milk in it. I used urundai vellam which gives darker color to the vellam. You can also add cubed vellam. Cook the rice till it is mushy, water for cooking rice depends on the variety of rice.